In October of 2012 I had the honor of meeting living legend Kurt Klaus, former technical director of IWC and inventor of IWC’s Perpetual Calendar movement, caliber 79261. 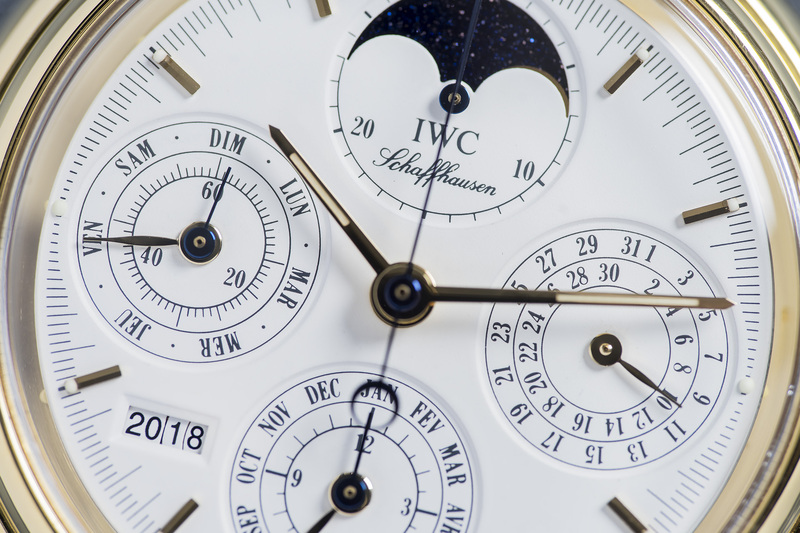 During an evening of lectures on Perpetual Calendars and watchmaking in general, Mr Klaus shared his knowledge, memories and drawings on designing and manufacturing the caliber for the watch seen here; the IW3750 IWC Da Vinci Perpetual Calendar Chronograph. 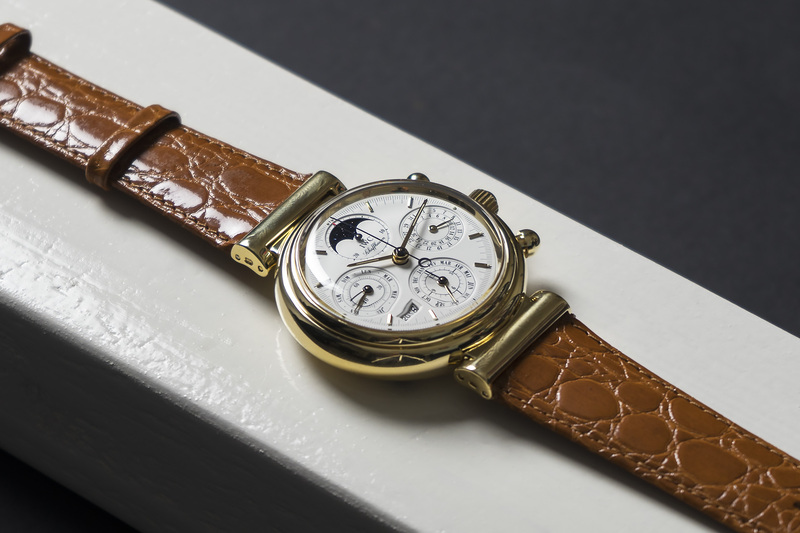 What does a Perpetual Calendar movement actually do you? Well, this complication automatically compensates for the shifting rhythms of the 30/31-day cycle of the months throughout the year. But more importantly, it also automatically compensates for the 28 days of February and even knows when to add the extra day on the 29th on the leap year. 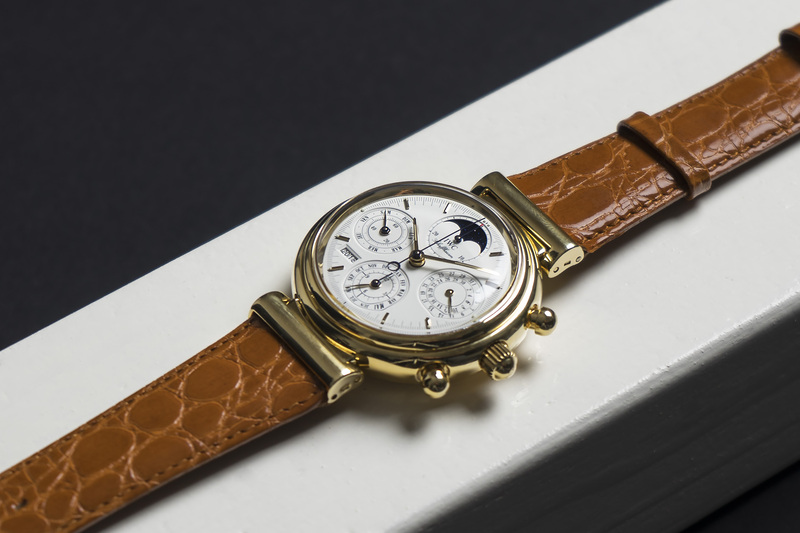 How about a watch that can provide you day, date, month, leap year and the phase of the moon at all times! Cool yet? What’s so special about the Da Vinci 3750? Other Perpetual Calendar watches use several internal pushers to adjust and correct the calendar complications, these pushers need to be operated with a stylus, and if you accidentally try to adjust it during the date changeover period, you can jam or damage the movement badly. So Klaus wanted to make his complication easier to use. 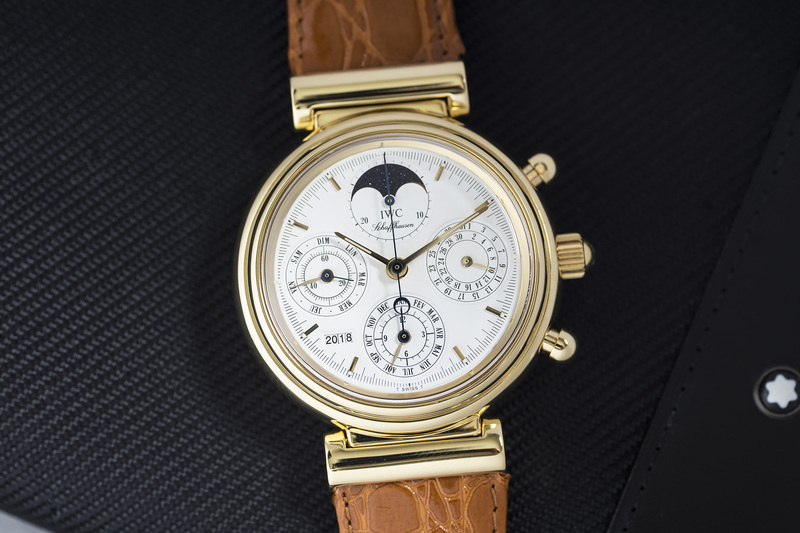 After endless hours of contemplation and calculation he created a module that included not just day, date, month, leap year but also a four-digit year indication and a moon-phase display that was accurate to 1 day in 177 years. And it was relatively simple to produce and a breeze to use as all the complications on the movement are controlled by the same crown you also use to set the time, absolutely genius! 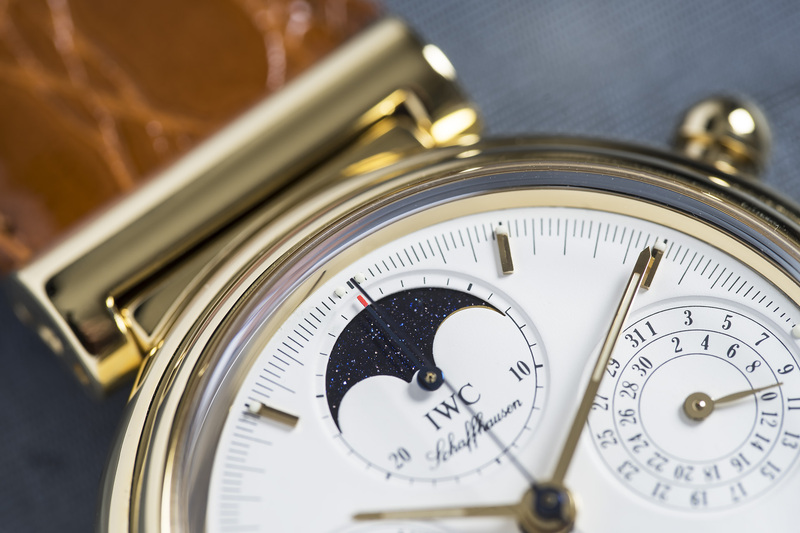 At the same time IWC’s designer Hano Burtscher had dreamed of a watch case inspired by Leonardo da Vinci’s recurring circles in his plans for a harbor fort in Piombino from 1499. 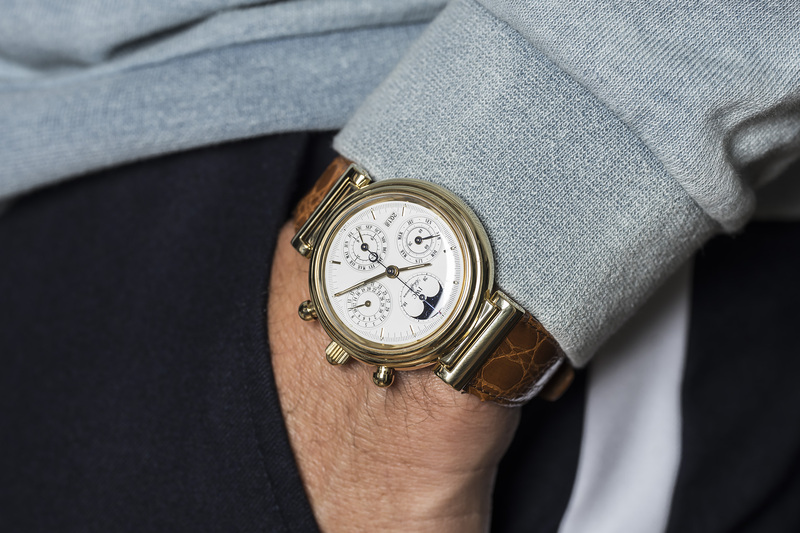 Together they created the Da Vinci Perpetual Calendar Chronograph with reference 3750. When launched in 1985, the Da Vinci was a total revelation, an act of brilliance! 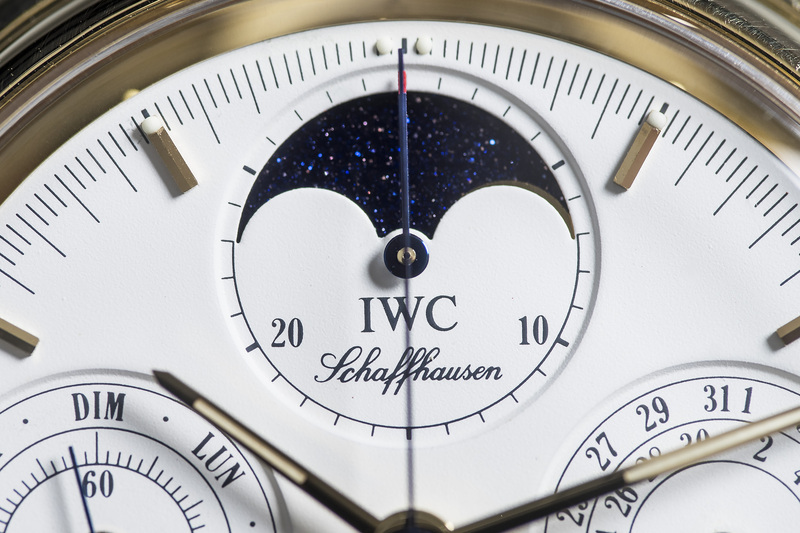 It is the most user friendly Perpetual Calendar ever made, it was also its most avant gardist in design and its most accessibly priced. 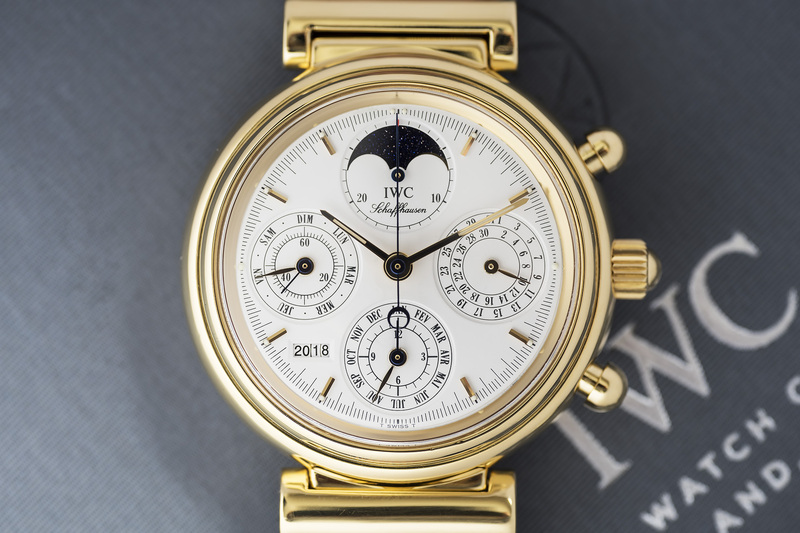 Our IW3750 Da Vinci Perpetual Calendar Chronograph was fully serviced by IWC in May of 2018 for a near 1800 euros. The watch is in an absolute Like New condition and is accompanied by ALL the original boxes, booklets, warranty, book on the Da Vinci PC, original worn strap, the sealed glass tube with the extra discs for when the year needs to changed somewhere in 2167 and ofcourse all service papers. 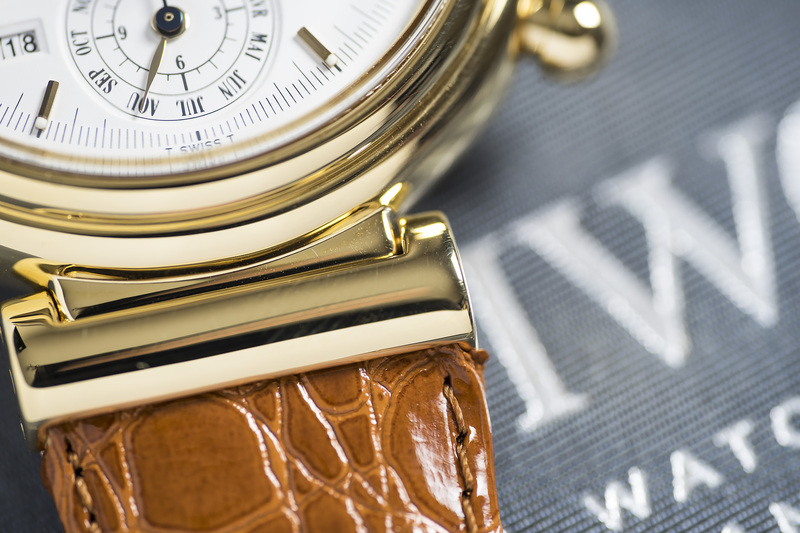 This Da Vinci PC still has 20 months of IWC warranty left. Perpetual Perfection!